It has a natural astounding beauty that can’t be denied if you’ve first seen it in reality. Do you know why? 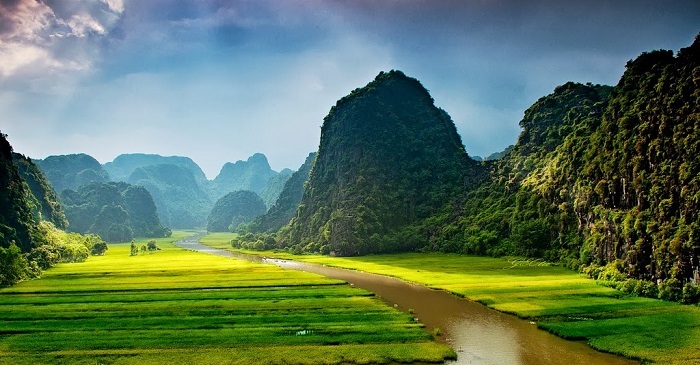 Lying close to the Ninh Binh City, which usually takes 2-hour drive from Hanoi, Tam Coc has never failed to disappoint the visitors who come here to contemplate the area’s magnificence. Head out to the countryside if you want to add some fun to the adventure. 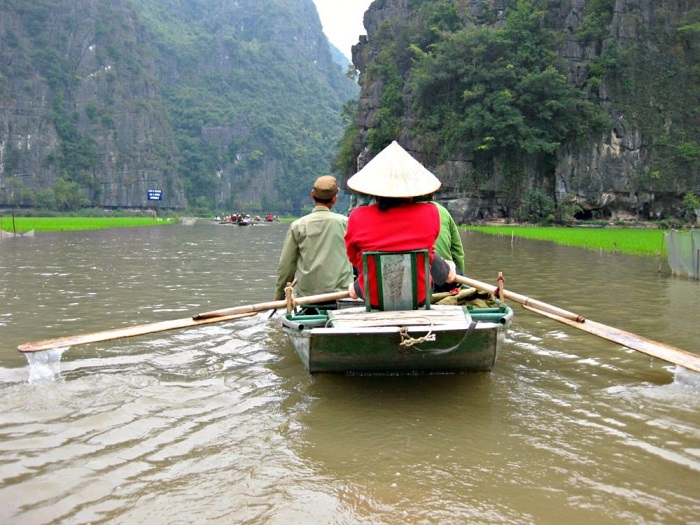 Let’s travel off the beaten track by hiring a rowboat and let the river take you everywhere on the course. Feel free to go in the early morning or in the afternoon when the sun does not feel so strong, which is great for your sightseeing! Besides, some of the most interesting parts of the trip are when you are able to take the rowboats through the impressive caves that the calm river is winding through, or the jungle that is covered with many beautiful mountains. Wait until some locals on their boat start to sell their goods, including food and drinks. 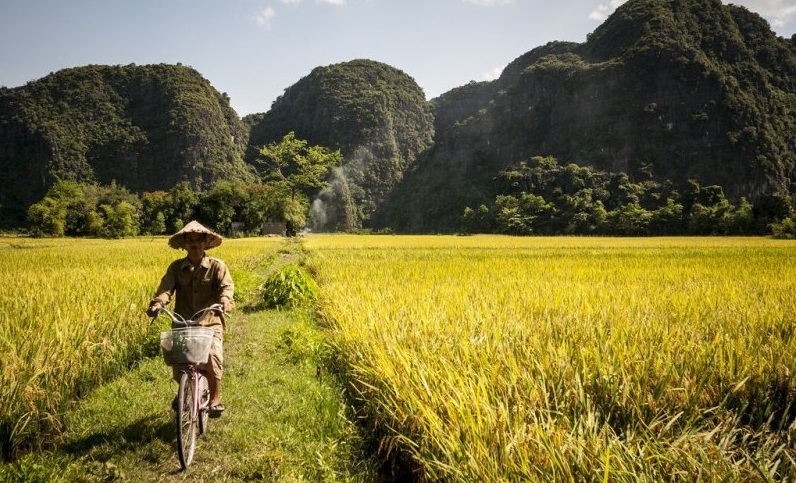 Unlike Trang An, your trip in Tam Coc gives you a wider view of golden rice fields and traditional farming activities through the river banks. Besides, you can take as many pretty pictures of the golden rice field that is surrounded by so many outstanding limestone mountains. 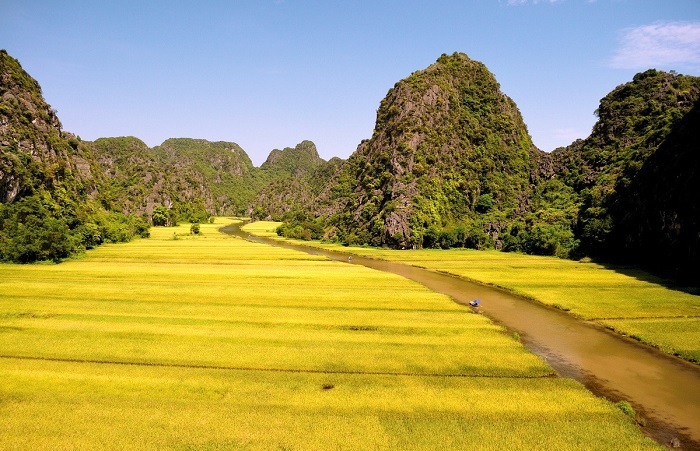 So to capture such an impressive view of yellowish rice paddies, you’re recommended to visit Tam Coc in the summer only. It happens from the end of April to the start of the May, when the green rice becomes the golden one. If you take a clearer view of field and limestone mountain, think of trekking to Mua cave nearby in the morning. The field is dotted with a lot of colorfully-clothed girls who are carrying their umbrellas on the path, which suddenly paints into a serene life scene in the countryside. Don’t miss that free moment, when you’re led to some fun times of relaxation in such a rural area. Come here in the morning to dodge the crowds if you’re a photographer who desperately wants to take the most shimmering pictures. Doing so can give you more free time to take your favorite photographs. By the way, before floating on the boat, each person has to pay the entrance fee (120,000 VND), and this number reaches to 150,000 VND as you come in four people. 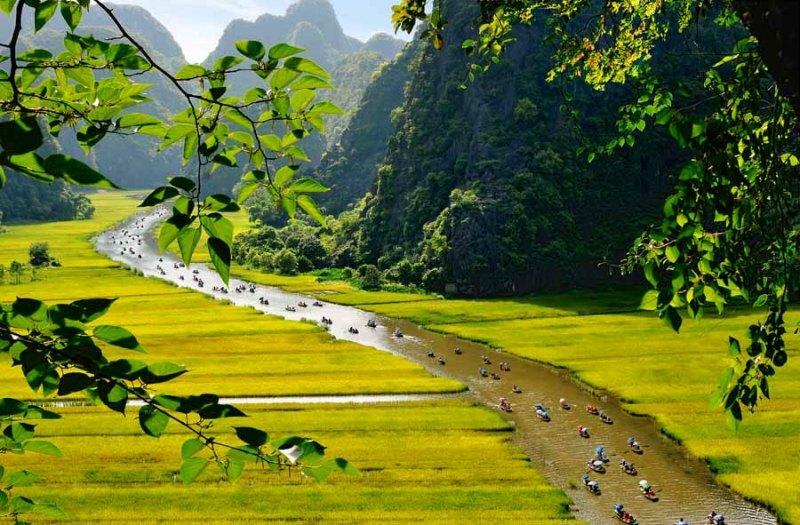 Don’t leave this chance to anyone, especially when you’re able to contemplate the stunning beauty of golden rice field in Tam Coc on a rowboat. And the local boatmen here who will take you to where have the most beautiful scenes to take amazing photographs can row their boats with legs, which is such a great thing to see with your own eyes.